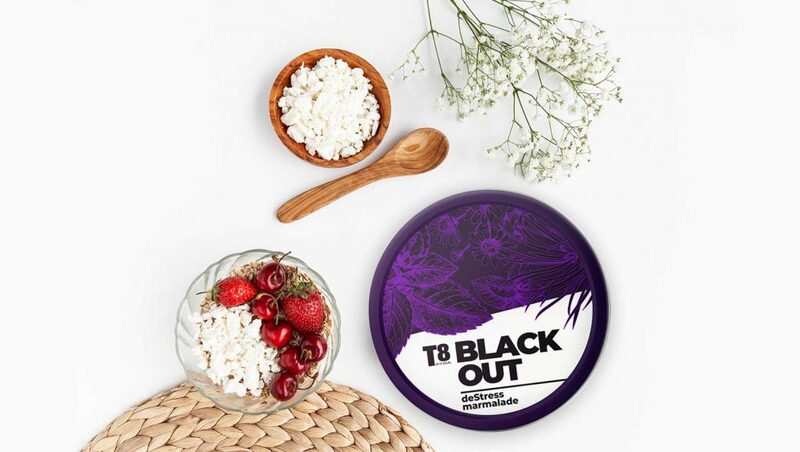 T8 BLACKOUT is a delicious marmalade with relaxing effect and enhanced SibXP-Complex. It strengthens your health and normalizes the function of the whole organism due to polyprenols, fir cell juice and needles complex CGNC. While Tayga herbs complex helps you to feel relaxed and calm. - leonurus extract improves you well-being and sleep. T8 BLACKOUT is your pass to the world of calmness and harmony, where there is no place for anxiety or dismay.